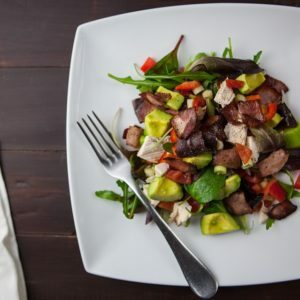 If you keep on top of diet trends, then you’ve almost certainly heard of the Ketogenic Diet (or Keto). If you haven’t, trust me, you will. It’s a method of eating that’s gaining more popularity in the bodybuilding and strength community, and inevitably, it will start to trickle down to the general population. Ketosis is a process that our body initiates to survive when food resources are low – we produce ketones, which are the result of fat breakdown in the liver. These ketones are then used for energy by the body. To compare, when you eat carbs your body will use glucose as its main form of energy, since glucose is easy to convert and readily available in a normal higher-carb diet. This means your fats are generally stores and used as the last choice for energy production. The ketogenic diet massively limits your intake of carbohydrates while raising fat intake, which forces your body to produce fatty acids and ketones to be used for energy. Your nutrient intake is generally around 70% fat, 25% protein, and 5% carbohydrate. Keto was developed as a therapeutic diet for epilepsy, as ketosis leads to a reduction in epileptic seizures in many. The Atkins Diet is an example of a modified Ketogenic diet. The goal is not calorie restriction, but carbohydrate restriction. Weight loss: On keto, your insulin (the fat storing hormone) levels drop greatly which almost always means fat loss. Blood sugar control: Keto naturally lowers your blood sugar levels since the foods that you are eating are far lower in carbohydrates. Mental Focus: Sometimes, lessening your blood sugar spikes can help improve your focus and concentration. Also, fatty acids have been shown to improve brain function. I’m not going to sugarcoat this – Keto is a serious shift in diet and should only be undertaken with supervision from a dietitian. You could have existing contraindications, you shouldn’t do it if you’re pregnant or breastfeeding, and there are some pretty serious side effects to consider. Keto Flu: When you start keto, you may feel some symptoms like fatigue, headache, nausea, cramps – these are all normal during the transition period as your body adapts. Your brain and body are running low on their usual energy source, so there will be a period of adaptation. Also, keto is a diuretic, so you need to make sure that you are replacing your electrolytes. Maintain hydration, and add a bouillon cube or Powerade Zero. Normally the Keto Flu lasts 4-5 days. Decreased physical performance: As your body adapts to a new energy source, your strength and endurance may feel zapped. The adaptation period is not the time to aim for a PR. 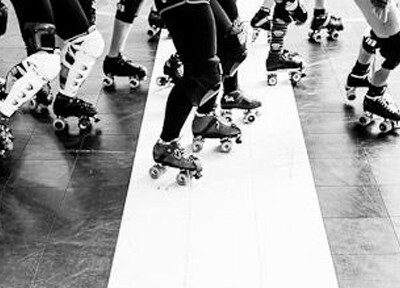 After adaptation, however, ketosis can contribute to performance loss in activities that require explosive action (ahem, roller derby). Tocombat this, you can “carb-up” with 25-50g of carbs about 30 minutes before energy is needed. Cramps, indigestion, constipation, heart palpitations: Apparently these are all normal during keto to varying extents. Make sure to drink plenty of fluid and add salt to your food to help maintain electrolyte levels and control magnesium and potassium levels. Gallstones: The extremely high-fat content in the ketogenic diet might not be the best for those who are prone to gallbladder issues or gallstones. Ketoacidosis: If ketone production gets too high, a serious condition called ketoacidosis can occur. This is not common since it’s tough to even get into ketosis for most folks, but it does happen. And it requires medical intervention. Ketoacidosis can also occur in Type 1 diabetics when insulin levels are severely low. Again, I can’t stress enough that this was developed as a medical intervention diet and that it is important to get professional advice instead of just following a fad. Also, consider your macronutrient needs as a performance athlete (rather than someone who wants to lose weight or look good on the bodybuilding stage). After getting medical advice, there are several apps and websites that will help you track your macros so that you are hitting the ideal targets for ketosis. You are aiming for 70% fat, 25% protein, and 5% carbohydrate. Popular advice suggests cutting your carbs to fewer than 15g/day to start out so that you can fast track to ketosis. That said, you can also wean yourself off carbs slowly for a gentler transition. Once you’re rolling with keto, your daily carb intake will be between 20-35g/daily. Too much protein can also hamper ketosis, so you’ll need to lower your protein intake to 0.6-0.8g/lb bodyweight. The rest of your diet should be comprised of fats. Increased Urination – Ketogenic eating is a natural diuretic, so you have to go to the bathroom more. Dry Mouth – Increased urination means decreased hydration, make sure that you’re drinking plenty of water and replenishing your electrolytes (salt, potassium, magnesium). Bad Breath – Acetone is a ketone body that is partially excreted through the breath. It’s the same compound you smell in nail polish remover. Reduced Hunger & Increased Energy – After you get past the “keto flu” stage, many users report a decrease in hunger and a feeling of clarity and energy. And what can and can’t you eat on keto? Tubers & Legumes – potato, sweet potatoes, yucca, parsnips, beans, etc. Starchy vegetables: peas, corn, carrots, onions, squash etc. Meats – fish, beef, lamb, poultry, eggs, bacon, etc. Leafy Greens – Spinach, kale, chard, lettuce, etc. Sweeteners – stevia, erythritol, monk fruit, etc. *For every gram of glycogen you lose, you also lose 3g water. Sipping on some tasty chicken broth can help you replace water and sodium at the same time. Still curious? Here are some resources for you to check out! I’ve been keto on and off for about 10 years. It helps manage my Binge eating disorder, and keeps all sugar cravings away from me. The mental focus is second to none, and feeling full and satiated at all times is such a necessary component of my training. Physically- I perform the same on keto and non-keto. If you’re curious, give it a try! Thanks for the feedback Amazonprimal! Sounds like it’s worked great for you!